Are you not sure how to say Happy Birthday Mom? 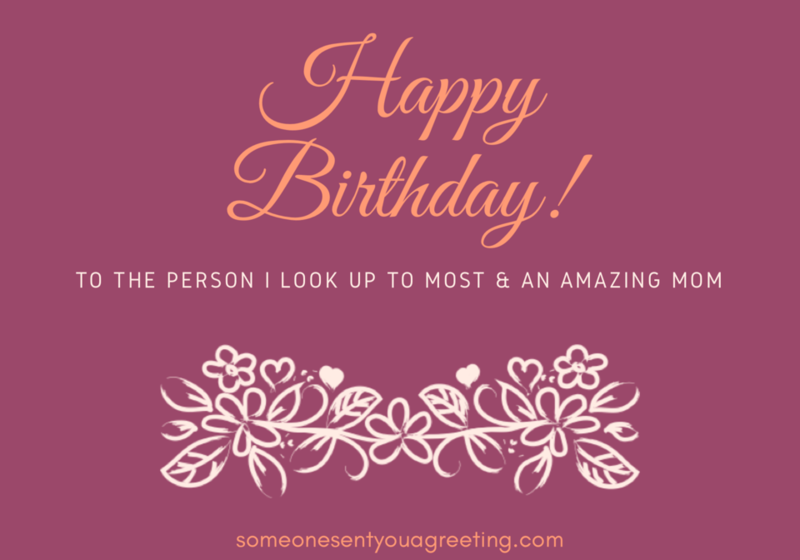 Do you want some examples and inspiration of heartfelt birthday wishes and greetings? Then you’ve come to the right place. 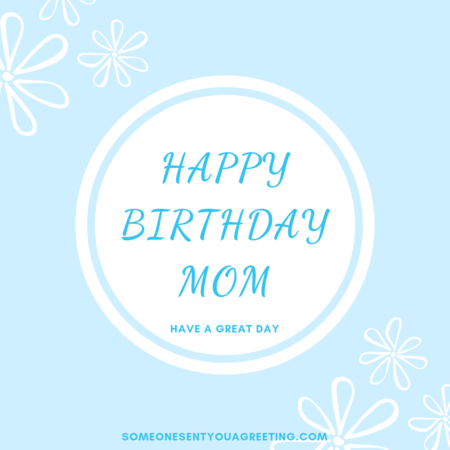 We understand that saying or writing something touching as a birthday message for your mom can be tricky. The relationship we have with our mom’s is like no other. And when the time comes, saying “Happy Birthday Mom” can be far more emotional and moving than you might expect. It may seem like a fairly normal occurrence – we wish people Happy Birthday all the time. But when it’s your own mom it can become extra special. This is the woman who gave birth to, looked after and loved you. There is almost no one more important in the world than your mom. So birthday greetings for a mom can be a lot of pressure. You want them to be special and meaningful, expressing the deep feelings you have. But as long as you speak from the heart and your words are genuine then you shouldn’t worry. Try your best to express exactly what you feel and your message will be appreciated for the warmth as love it shows. 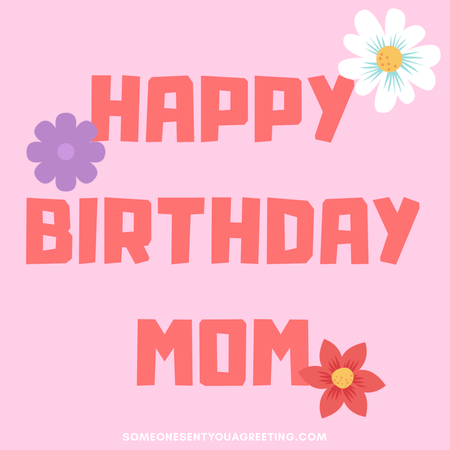 So use the birthday messages below to let her know just how much you care and say thank you mom for all she has done. 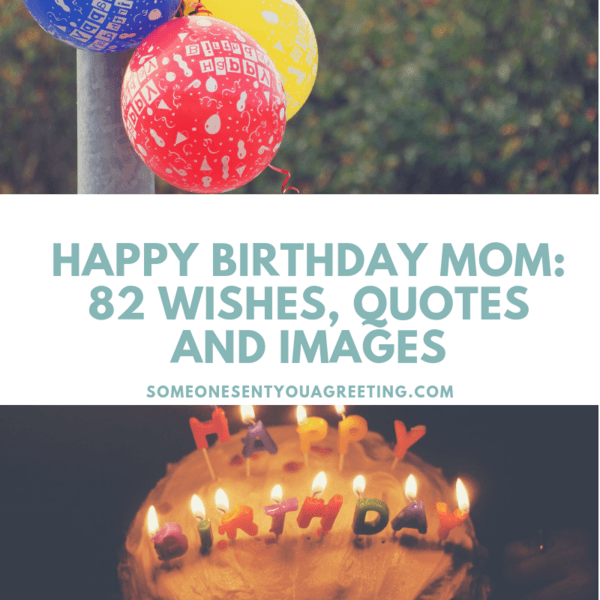 You can use these birthday quotes either in a card, on something like Facebook or just to say in person to your mom. Enjoy your day mom. You’ve earned it looking after me! 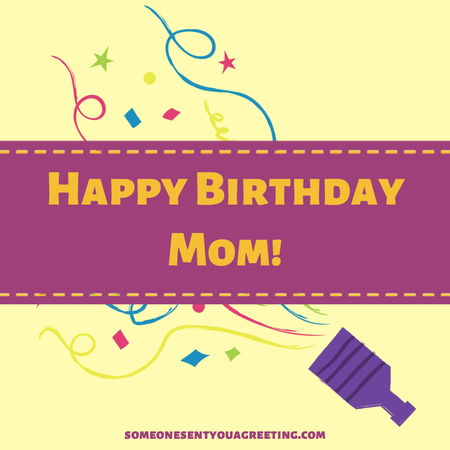 Big hugs and kisses on your birthday, mom! Your one in a million mom. Happy Birthday! Hoping you always remember today as a truly amazing birthday. Enjoy mom! Wishing you the happiest of birthdays mom. It’s all about you today! I hope all your birthday wishes come true today mom. Have an amazing birthday mom! Let your hair down and have a great time. I love you from the bottom of my heart and appreciate everything you do. 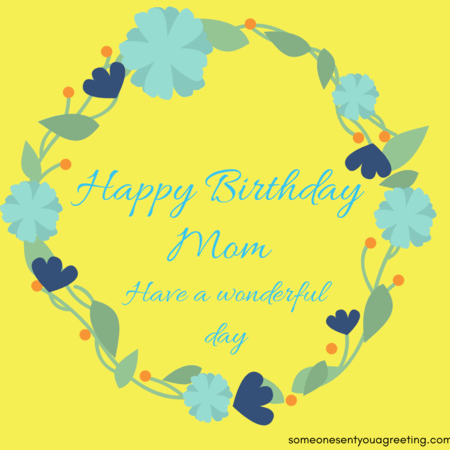 Have a truly wonderful birthday mom. Birthdays are meant to be fun, right? So why not celebrate with a funny message. Give her a laugh, maybe poke fun at her or share an inside joke between the two of you. Most moms give birth to a child. Except my mom, she gave birth to a legend. Happy Birthday! I smile because you’re my mother.. I laugh because there’s nothing you can do about it! My whole life you have always been there for me. There will never be enough words to convey how deeply grateful I am that I have a mom as wonderful as you, but I can start with “I love you so much”. I don’t express my gratitude enough for all you’ve done mom. Thank you for everything and happy birthday! Mom, it doesn’t matter how old I get, you’re still the one I turn to when I need help. Happy Birthday and have an amazing day. It’s hard to take credit for any of the successes I have in life. As hard as I have worked to become the best I can be, you worked even harder to help me reach my dreams. 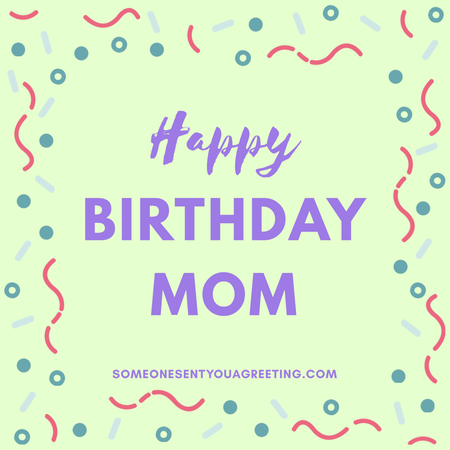 Thank you and Happy Birthday, mom! 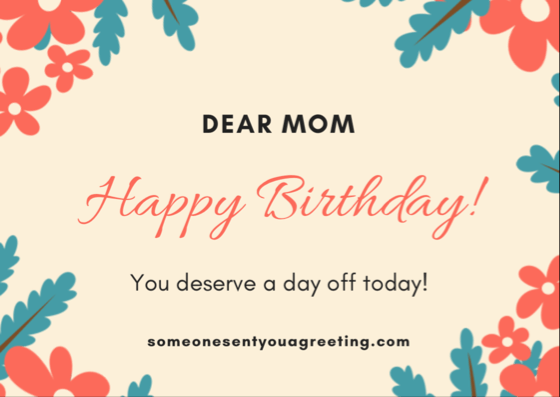 We all lead such busy lives it’s sometimes difficult to be with our moms on their Birthday. So if you’re a long distance from your mom as she celebrates send a message saying you wish you could be with her and hope she has a great day. My heart has no idea how far you’re away today because I’m always carrying you in it. Love you mom! Unfortunately tough times and difficult situations don’t stop for birthdays. 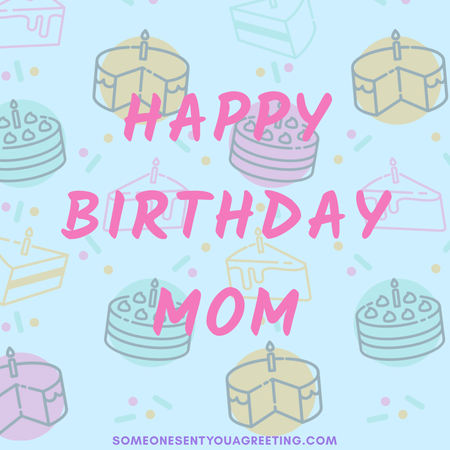 So if your mom is going through a rough spell, be that illness, family problems or something else then use these birthday messages to show you’re right there for her. Use these birthday wishes to remember a mother who has sadly passed away, and celebrate her life.